I have had many cats in my 70 plus years. Most have been inside cats who like to go outside now and them. But I’ve also had cats who would rather live outside (until they got hungry). In both circumstances I had a few cats who just got lost or whose normal daily pattern of events changed enough to cause worry. I ran across the following article from catological that helps explain what to do when your cat is not in its expected place and the expected time. Unfortunately, we can’t tend to our fluffy friends 24/7. Purchasing a GPS tracking collar doesn’t automatically guarantee your pet will be safe and sound out there on the streets. Busy traffic, feral cats, other stray animals, diseases… the list of dangers in the outdoor world goes on and on. What’s worse, when most cats run away, the chances of finding them shortly after the escape are slim. Today I want to focus on some of the best techniques pet parents can lean on when they’re trying to find a lost cat. Or in other words, to talk about what you can do if your kitty runs away from home, regardless of the type of area you’re residing in. Because even if you’re living in a secluded area without any busy traffic, your precious furball’s safety will still be compromised by the great unknown outdoors. The first and most essential thing is to not panic. You need to remain calm and check every single corner of your home for your pet. Cats have a tendency of using the most puzzling areas of a house or apartment as their hiding spot. There’s a pretty good chance your pet hasn’t left your home at all. Use treats, food, toys and a soft, soothing voice to lure your kitty out of hiding. If the cat has indeed escaped, you’ll need to arm yourself with patience, calmness and readiness to search outside. Even if you’ve allowed your pet to roam your yard in the past, it will still be scared, confused and stressed out if it’s lost somewhere on the streets. Felines have excellent instincts, but indoor cats aren’t used to surviving on their own, unlike feral ones. 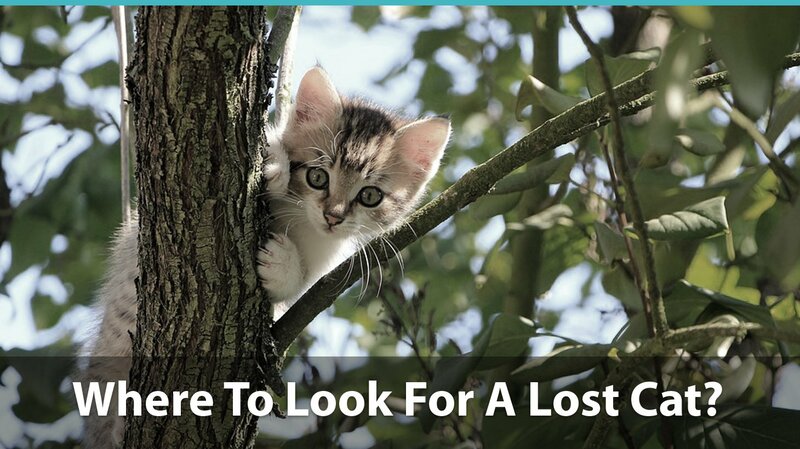 Here’s what you need to do in order to increase your chances of finding a lost cat – prepare to make phone calls, prep your home if your kitty manages to find its way back on its own, learn where to look for it and understand how to look for it. Finding a scared runaway on the streets is trickier than finding it in its hiding spot at home. You must alert your neighbors because there’s a chance the cat could have sneaked into their yard, garage, house or apartment, especially if they have other animals. Plus, if there’s an appealing scent coming from their home (food, a cat in heat, antifreeze, etc. ), the kitty might be there. Call your relatives. If you have recently moved with your cat in a new home, it could be trying to go back to its previous home. What’s more, you’ll also need someone to stay at your place and await your pet’s probable return. The same goes for calling your friends – they can stay at your home, as well as help you search the outdoors. Check with Animal Control and any local shelters. If the cat has been missing for a day or so, it could have ended up there. And if you’re using any sort of pet tracker, you must call the service’s staff immediately. They might be able to help you even if for some reason you can’t track the cat on your own. HOW TO PREPARE YOUR HOME? Prepping your house or apartment for your cat’s return is absolutely crucial. Ask somebody the cat is familiar with to stay over. Multi-pet owners should remove other pets from the premises if the missing cat isn’t on good terms with them. This means having the dog stay over at somebody else’s home for a while. Leave the door and some windows open, especially the one from which the cat has escaped in the first place. Warn the person staying over about the open windows and that he/ she needs to keep an eye on them. Leave your cat’s toys or some of your worn clothes in the yard/ on the window. This way the kitty will be able to smell them if it’s nearby. Familiar scents have a chance of luring out a scared cat. Do not leave opened cans of food around! This will attract feral felines, raccoons, seagulls and other stray animals. Not only will they occupy the area, but they might also bring parasites and diseases. What’s more, their unfamiliar scent will probably scare your already stressed out pet if it’s nearby. As you can see, there’s a plethora of hiding spaces. Moreover, there’s also a chance your pet could have been driven away if it hid in an unsuspecting driver’s vehicle. HOW TO LOOK FOR THE CAT? Many pet parents think that if they shout the kitty’s name loud enough, their furball will come out of hiding. Being obedient in your home is one thing, but being lost in the outdoors is overwhelming, to say the least. 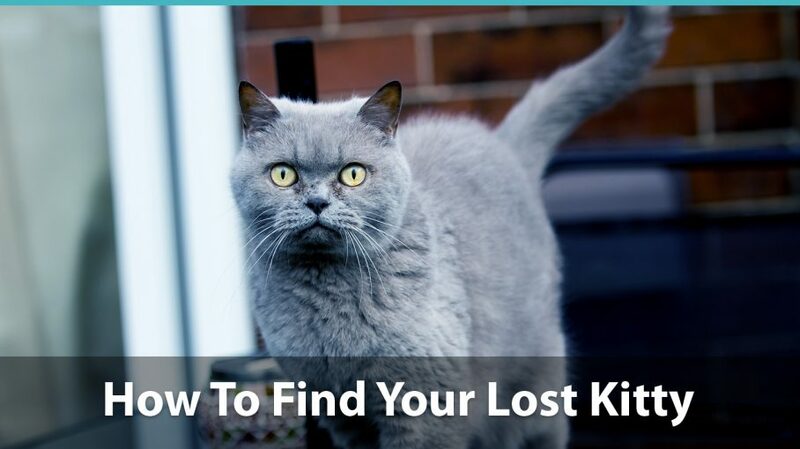 Here are a few tips and tricks on how to look for a lost cat the right way. Call out the feline’s name in a calm, playful and soothing voice. Your pet will be able to sense that you’re scared, panicking or even angry. This may prevent it from coming to you even if it’s nearby. Use common phrases the cat knows. Things like “come here”, “dinner time” and “Does Fluffy want a treat?” will help provoke the kitty to come out of hiding. Listen carefully. If your furry pal is trapped or just too scared to show itself, it still might respond to you verbally. Don’t make the mistake of thinking the cat is nearby. Just because it doesn’t know its way around doesn’t mean it won’t try to hide all the way in another neighborhood. On the other hand, don’t rule out the possibility that’s its still in your home’s area. Prepare to search after nightfall. Cats are nocturnal creatures. Chances are your pet will be more willing to be active and come out of hiding during nighttime. Arm yourself with a flashlight, unwashed clothes and your pet’s favorite cat toy. Look under cars and inside crawlspaces, as well as on high hiding spots. The guys over at Statesman Journal have some excellent tips and tricks on how to prevent indoor felines from escaping their home’s confinement. Head over to their website and check them out if you want to decrease the chances of losing your feline furball due its curious and adventurous temper. Portions of this article are shared through the courtesy of Emily Parker at Catological, “Our goal is to write articles that are super easy to read and take action with, but contain facts, figures, and footnotes in case you ever wonder where we get all the information.” See their Cat Lovers Coloring Book at Coloring Book. Copyright 2017 by Catological.